Ivanka Siolkowsky, founder of The Tidy Moose, is Canada’s only platinum-certified KonMari consultant. It’s spring-cleaning time. To our Victorian ancestors, this was the moment to fling open the windows and let all the accumulated winter dust fly out with the newly warm breeze. But to us, the better weather might not even be perceptible, with those same windows covered by too much mildew, grime or accumulated clutter to even see the unfurling green leaves. After all, who has time to clean any more? According to Statistics Canada, not many of us. Both the percentage of Canadians who actively tidy indoors and the number of hours spent on such chores declined between 1986 and 2015. About 50 per cent of the population used to spend five hours a week on housekeeping. These days it’s closer to 40 per cent and four hours and 54 minutes. A six-minute drop might not sound like much, but that adds up to more than five hours a year in lost dusting, vacuuming and organizing opportunities. This might explain why miraculously immaculate spaces are to our home lives what Kylie Jenner is to fashion and beauty – a collective, aspirational obsession, something that’s somehow everywhere yet still seemingly unattainable. Or, as a recent Guardian article stated: “Bleach is the new black.” And the trend is fuelling a boom in bestselling organizational books, popular TV shows and social-media stars. In some ways, this isn’t a new occurrence. “Cleaning seems to be the cockroach of businesses,” says Toronto-based YouTuber Melissa Maker, whose Clean My Space channel has more than 1.1 million subscribers. “AI, recessions, whatever – it seems resilient.” That’s because despite what’s going on in the world, most of us still desire an orderly abode. What’s singular now, though, is the confluence of uniquely contemporary trends driving the movement – a rising zeal for self-help, wellness and social-media perfection, all mixed with a lack of time to realistically achieve any of the above without professional gurus or the kind of one-on-one help once exclusively available to the ultrawealthy, now more readily accessible in the gig economy. A growing trend in decluttering is fuelling a boom in bestselling organizational books, popular TV shows and social-media stars. Marie Kondo might be the most famous of the so-called cleanfluencers – her tomes have sold more than 10 million copies around the world and her recent Netflix series, Tidying Up, was devoured by millions of fans as soon as it came out in January of this year. But she’s hardly the only one. Canada has its own group of neatness gurus, some of whom are acolytes of the Japanese phenomenon, while others predate her rise entirely. Siolkowsky left teaching shortly thereafter to become a full-time KonMari consultant, someone who charges an average of $100 an hour to handhold someone through Kondo’s approach of eliminating anything that doesn’t “spark joy” from their home. To some, that might seem like a highly risky bet – giving up a government-backed dental plan for the vagaries of self-employment. But since starting her business, called the Tidy Moose, in 2016, Siolkowsky has amassed more than 20,000 Instagram followers (“I get 90 per cent of my clients through Instagram,” she says) and penned her own Amazon bestselling book called Declutter Your Way to Health, Wealth and Freedom. 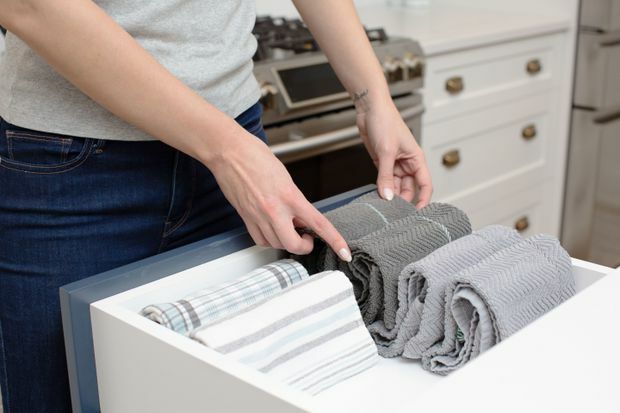 She’s also Canada’s only platinum-certified KonMari consultant, a distinction granted to those who have not only completed the $1,500 training workshop, but who have amassed a certain amount of experience. Siolkowsky has done more than 900 hours working with at least 30 clients using Kondo’s methods. Canada has its own group of neatness gurus, some of whom are acolytes of the Japanese phenomenon, while others predate Marie Kondo's rise entirely. As with Siolkowsky, Halifax’s Jane Veldhoven had a previous career (“I was a terrible salesperson,” she says) and an innate knack for space planning. “I was a naturally organized child,” she says. “I always had the ability to look at a mess and know exactly how to improve it.” But unlike Siolkowsky, Veldhoven started establishing herself as a cleanfluencer in 2002, long before “spark joy” was a common phrase. Seventeen years later, not only is there so much demand for her services that she often has to refer would-be clients to other POC members, but Veldhoven was recently the subject of a five-part docuseries on Vision TV. Called The Big Downsize, the show followed her as she helped two families weed through all the excess stuff in their lives, including four siblings cleaning out the junk-rammed house where their deceased parents had lived for 50 years. 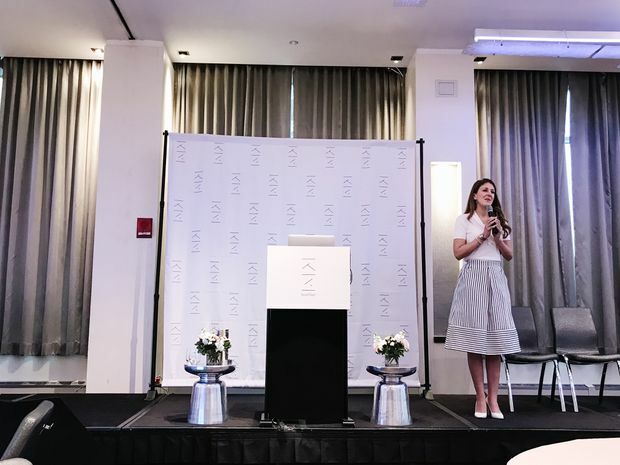 Siolkowsky has amassed more than 20,000 Instagram followers and penned her own Amazon bestselling book, Declutter Your Way to Health, Wealth and Freedom. Melissa Maker also predates the Kondo craze. She launched her video channel, Clean My Space, in 2010. It has more than 100 videos demonstrating how to scrub everything from tubs and tiles to salt-stained winter boots. A major part of Maker’s appeal is that, unlike overly earnest perfectionists such as Martha Stewart, she has the casual tone of a friend who, like you, would ultimately rather be doing something more fun. That get-it-done-and-over-with attitude is genuine. Maker was the kind of teenager who refused to unload the dishwasher or wipe down the bathroom, often resulting in yelling matches with her mom. Even now, at 36, her resistance is resolute. “I still hate cleaning,” she says. The aversion might be ironic, but it also inspired Maker’s business idea. At 24, while working as a server at the Keg, she realized that if other people disdained cleaning as much as she did, there must be demand for outsourced solutions. So she started a pay-by-the-hour cleaning service (also called Clean My Space). She taught herself the time-consuming, pre-social-media way: taking books out from the library. At first, she hired herself out as the maid. Now, she has a team of between 20 and 30 cleaners. The need has stayed strong since. In addition to starting the YouTube channel shortly after (which led to sponsorship deals with Tide, Dawn, OxyClean and others), she’s since launched additional ventures, including a how-to book published by Penguin Random House, a line of microfibre cloths and towels and an online training course to teach others who want to start and run their own Clean My Space-style enterprises. More than 10,000 people signed up before the course went live in February.